Well, now, you can cross all of those honeymoon planning details off your to-do list. Instead, just pick up the phone and call Houston’s own Modern Honeymoons or visit their website. This totally free service will do all of the legwork of planning your romantic getaway—and save you some serious money. All you have to do is tell them about you and your fiancé’s honeymoon style and budget. Want to take a cruise around the world? Soak up the sun and drink piña coladas at an all-inclusive resort in Mexico? Pose in front of ancient monuments as you backpack across Europe and stay at cozy bed and breakfasts? You name it, Modern Honeymoons has you covered. 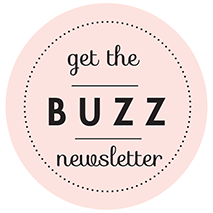 By milking its relationships with some of the world’s best resorts, boutique hotels and travel wholesalers, Modern Honeymoons—a division of Travel with Tim—scores newlyweds-to-be the best deals on airfare, rental cars, hotels, cruises. Their specialty? All-inclusive-stay packages, which means you and your guy can forget about money and planning meals and activities (finally!) and just relax and soak up your first days of marital bliss. And don’t worry about your budget—no matter how much you can afford to spend, Modern Honeymoons can put together a romantic honeymoon package that fits the bill. That’s not the only reason to love this sweet honeymoon planning service: Modern Honeymoons can even set up a honeymoon registry. That’s right, Houston bride, you can give your wedding guests the option of helping to foot the bill for a honeymoon you’re sure to always remember (rather than a dozen settings of fine China you probably won’t use). And you can give yourself an even fancier post-wedding vacay than you’d planned. So what are you waiting for? Your to-do list called, and it wants “plan honeymoon” crossed off—like now. 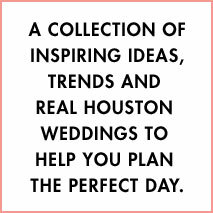 If you’re of the mind that a daytime wedding is to an evening wedding what a flip-flop is to a Louboutin, get ready to have your thinking seriously altered, Houston bride. The best thing about a daytime wedding? Well, beyond the fact that it’s a perfect lead-in to a let-your-hair-down, informal evening gathering, and that it allows weary revelers to get their beauty rest, having a daytime wedding, especially a Sunday daytime wedding, can save you a bundle on venue rental fees. Which means you’ve got that much more budget to allocate to things like floral, linen and décor. And trust us, you’re going to be grateful that you do. Because as far as elegance, artistry and luxury are concerned, the bright blue sky’s the limit for today’s daytime wedding. We’ve collected a few breathtakingly beautiful examples to inspire the daytime bride in you! How sweet is this Texas-style Southern California backyard wedding featured on 100 Layer Cake? The hand-lettered signs and bright, funky floral arrangements add so much warmth and whimsy to this joyful fête. Also from 100 Layer Cake, here’s a showcase wedding design that was featured at a recent bridal show at the Brooklyn Academy of Music. 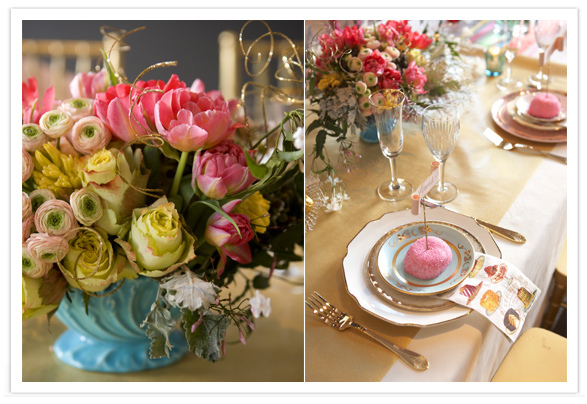 We particularly love the “vintage concept” tabletop, with those antique vases and mix-n-match china. And the Hostess Sno Balls? Lordy, too cute! This South African wedding, featured over at Junebug Weddings, is so simple and elegant. The pristine white-and-silver color scheme is lovely, especially with those small touches of green in the succulent and wildflower centerpieces. 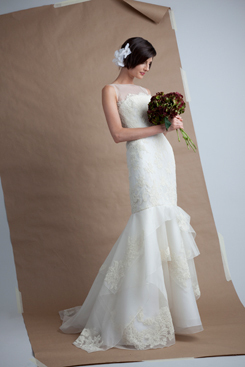 And lastly, here’s a completely different take on the daytime white wedding, from the ever-stylish Style Me Pretty. 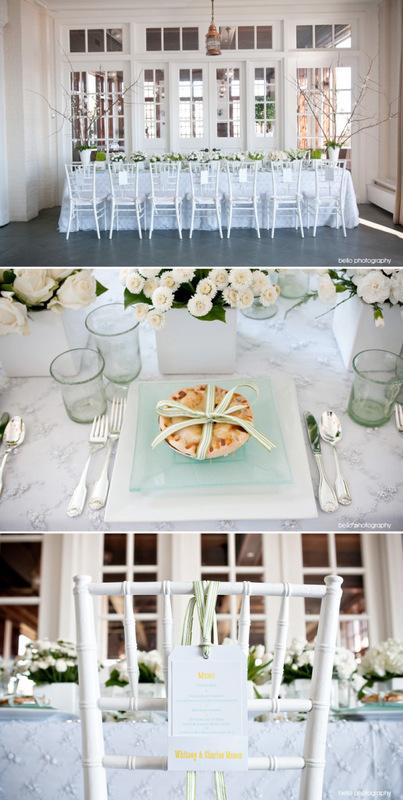 We adore everything from the monochromatic box centerpieces (perfect for rectangular banquet tables), to the white chiavari chairs, to the sea-glass plates and personal apple pies. So homey, yet so chic. We’ll go ahead and admit it right here: We’re not nearly as good to our nails as we should be. If you’re like us—prone to nibbling cuticles, peeling snags and generally neglecting, even abusing, our poor, defenseless nails—you’ll be pleased to know that there is still time to change your ways before your big day. To get your hands in fighting shape for your debut as a bride, you should ideally start training a few months out. That means from here on out, NO washing dishes without wearing gloves; NO picking, peeling or otherwise harassing cuticles or hangnails; NO removing labels or untying knotted stuff or doing other utilitarian chores with your fingernails instead of the appropriate non-fingernail implement. Neutrogena Norwegian Formula Hand Cream for dry cracked hands, and we love the silky feel and pretty scent of L’Occitane Shea Butter Hand Cream; ALWAYS treating any cracks or snags immediately with judicious clipping and moisturizing; and, whenever possible, getting a regular manicure—even if it’s just to groom and buff natural nails. For at-home nail conditioning and maintenance, we highly recommend the Nailtiques line—especially the much-beloved Nailtiques Formula 2, with calcium and hydrolyzed keratin. This stuff is a godsend for weak, brittle nails like ours, and for nails damaged by years of acrylics. Apply it exactly according to instructions, and you can expect noticeably stronger nails in about a month. Perfect wedding gown. Perfect shoes. Perfect ‘do. Perfect jewels. 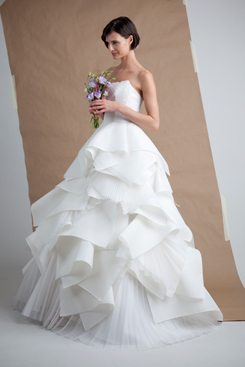 When it comes to your wedding day look, you’ve got perfect down. Well, almost. If only your skin didn’t look so blotchy. If only those wrinkles hadn’t started lining your forehead since you started planning your big day. If only those hairs on your face would stop growing back. Ugh, if only you could find someone to make your face look perfect for your wedding day. Forget your if onlys, Houston bride, and make an appointment at Reveal Cosmetic Surgery & Skin Rejuvenation Spa. 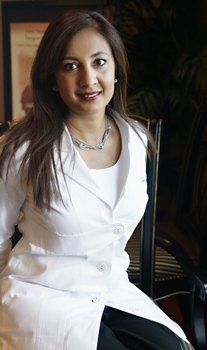 Dr. Farhina Imtiaz and her talented staff here excels at making brides look picture-perfect. Microdermabrasion and chemical peels? Check and check. Laser treatments? Check. Botox? You bet. In other words, this one-stop spa can cure all of your skin anxieties and make your skin glow in that perfect dress of yours. Houston brides aren’t the only ones getting lucky at Reveal. This cutting-edge spa also offers non-surgical facelifts and vein therapy and will soon offer skin tightening services, which makes it the perfect place to take your mother, mother-in-law, and grandmother. You know, all those women you love—and whom you’d love to stop kvetching about ruining your wedding pictures. What’s that, Houston bride? All that complaining is more than you can handle right now? We totally understand—planning a wedding is hard work, way harder than any day job we’ve had! You’ve more than earned the right to pamper yourself with a Reveal spa facial. In fact, even if you hadn’t earned it, we’d still tell you to get thee to the spa. After all, a little R&R can do wonders for a bride-to-be’s skin. Campbell’s Catering? Yummy, right? Well, sure, it’s fun to read about fabulous food—but it’s a whole lot more fun to EAT it. Take advantage of Campbell’s open house this Saturday, April 10 from noon to 2 p.m. and sample this in-demand Houston catering company’s hospitality and culinary know-how firsthand. We’ve tasted Courtney Campbell & crew’s divine specialties (Duck wontons? Shrimp cocktail shooters? Gourmet BBQ-filled potato boats? OMG. TDF.) and you will NOT want to miss this opportunity. Maison de Mode, this Friday, Saturday and Sunday, April. 9-11. Reps of the design house will be lavishing personalized attention on attending brides as they show off beautifully made gowns from the celebrated Venezuelan bridal designer. Expect plenty of lustrous silk, romantic tulle and delightful touches such as metallic thread, handkerchief hems and impeccable embroidery. Brides who purchase their gowns at this special event get a 15% discount…and the ability to say with pride that they’re getting married in Angel Sanchez. Très chic. For additional details call 713.527.8285 or e-mail maisondemode@hotmail.com.